LOS ANGELES, CA / ACCESSWIRE / December 20, 2016 / The founders of PlagiarismCheck.org, a leading plagiarism checker website that first launched over five years ago, are pleased to announce a major algorithm update that makes their services even better. As a company spokesperson noted, thanks to the recent algorithm update, more than exact matches will be spotted. Now, rearrangements, synonimization, modified word forms, and combinations of any of these forms of plagiarism will be found. The new algorithm is so powerful, it can actually detect three times more cases of plagiarism than the previous version. In addition, noted the spokesperson, thousands of people who were using a free plagiarism checking service decided to switch to the updated paid version within the first 48 hours of it being released. From journalists to want to be sure they are turning in unique copy to their editors and students who want to avoid plagiarism charges to educators, bloggers and writers, PlagiarismCheck.org offers invaluable peace of mind. The advanced algorithm does not "pick favorites" but instead checks carefully against every resource possible, looking for duplicate content. PlagiarismCheck.org is also exceptionally user-friendly. After uploading the text into the checker field on the website, users simply need to wait a short amount of time while the reputable plagiarism check tool carefully goes over the text. People are then given a report with helpful information and details regarding their writing, including highlighted areas where the algorithm found a match to other text. The document's overall level of plagiarism is also calculated and reported back to the user. These three easy steps will help protect writers from accusations of plagiarism. "Getting a plagiarism report on your work is a smart idea to say the least," noted the spokesperson, adding that PlagiarismCheck.org can help people prove that their term paper, article or blog is original. "Just by spending some spare change, you protect yourself from false accusations and obtain a calm of mind that your assignment, script, literary piece, or any other work of writing is, statistically-speaking, one of a kind and does not replicate anything previously written." 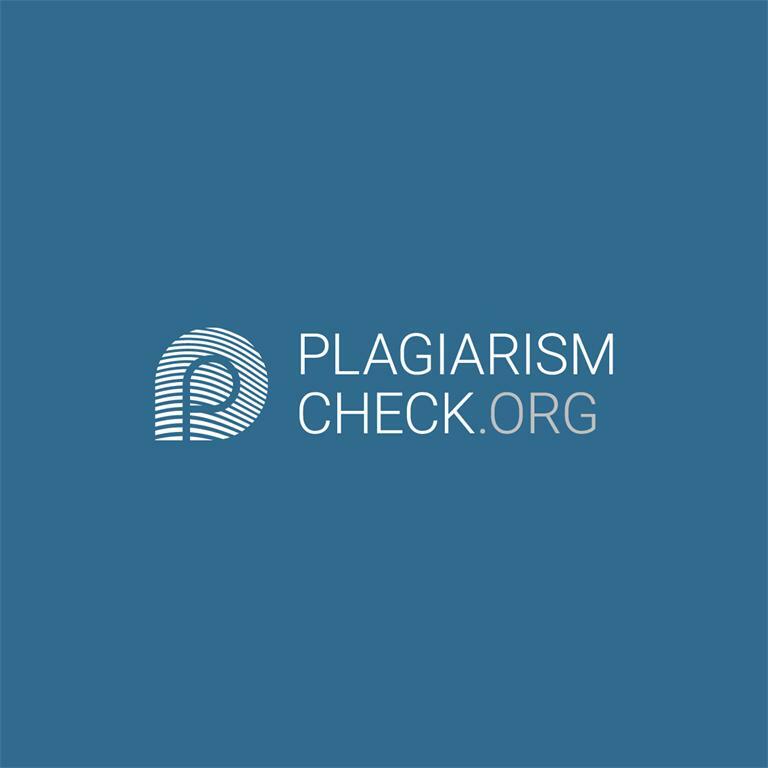 PlagiarismCheck.org, a service that launched over five years ago, is trusted by thousands of educators, students, marketing specialists, bloggers and journalists. The goal of PlagiarismCheck.org is to eliminate any forms of plagiarism from education, business and creative work. For more information, please visit https://plagiarismcheck.org/.